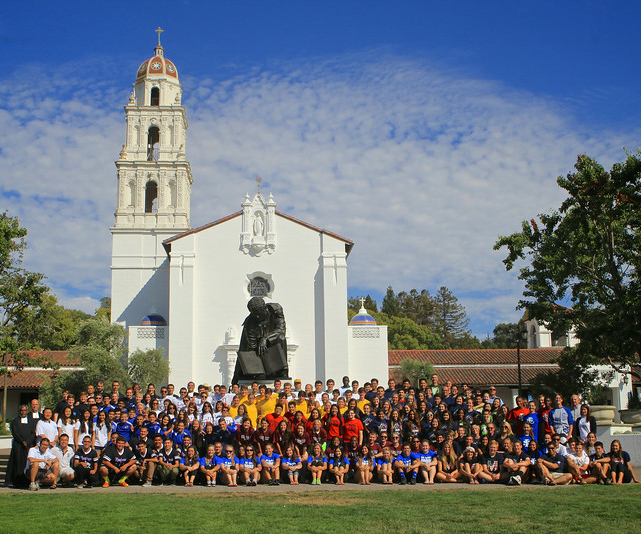 The summer months offer opportunities for Lasallian Youth to come together in their Districts and grow in association with others of similar faith, engage in activities and projects, listen to knowledgeable speakers, and work together to strengthen their bond in the Lasallian mission. This year, hundreds of youth, moderators and Brothers from ministries throughout the Region, including some international students, participated in the assemblies. 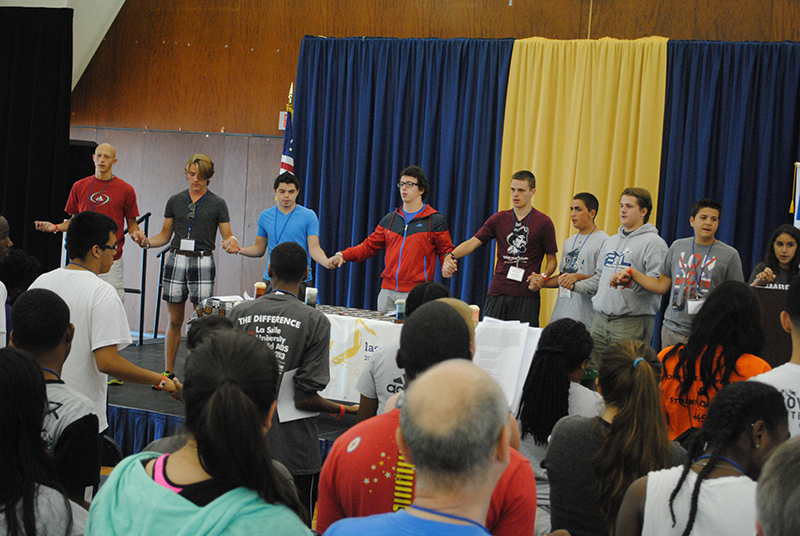 The District of Eastern North America (DENA) gathered for the 20th annual Lasallian Youth Assembly at La Salle University in Philadelphia, PA, July 13 – 18, 2014. The theme was “Here I am Lord,” and involved 112 youth and moderators, including nine from Rome, Italy. The week started with a celebration of Mass followed by a cookout, hosted by a number of Brothers in the community. Students listened to keynote presenters, visited the National Liberty Museum, and did community service at several local sites. A global Lasallian prayer was held via Skype with other Lasallians in Mexico, India, Canada, Italy and the U.S. 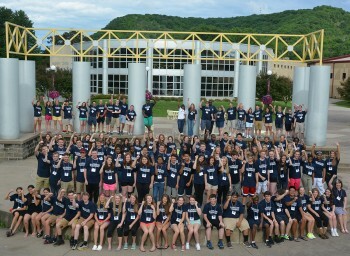 The Midwest District held its annual Lasallian Youth Gathering centered on the theme “We Are One,” on June 22 – 27, 2014, at Saint Mary’s University of Minnesota in Winona, MN. Ninety-eight students participated in a week packed with prayer, activities, small-group discussions, and service projects in the community. Participants shared about their school traditions and were able to grow closer to one another through walks in the bluffs, a bonfire, canoeing and more. 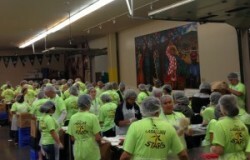 The first of two gatherings for the District of San Francisco New Orleans (SFNO) took place at the University of Portland in Oregon. 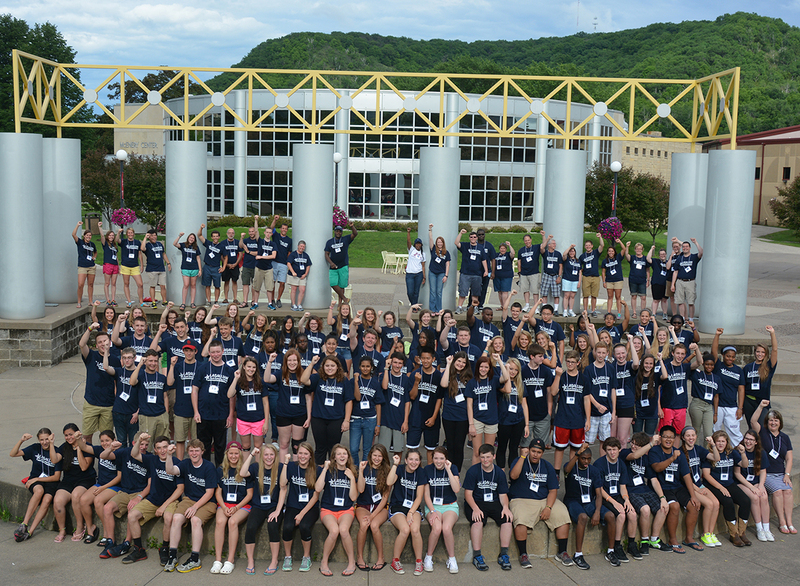 This Lasallian Youth Assembly, held June 15 – 20, 2014, consisted of 100 high school students partaking in the theme “We are Lasallian S.T.A.R.s” which stands for See a need, Tell God about it in prayer, Acknowledge your gifts and talents, Respond. 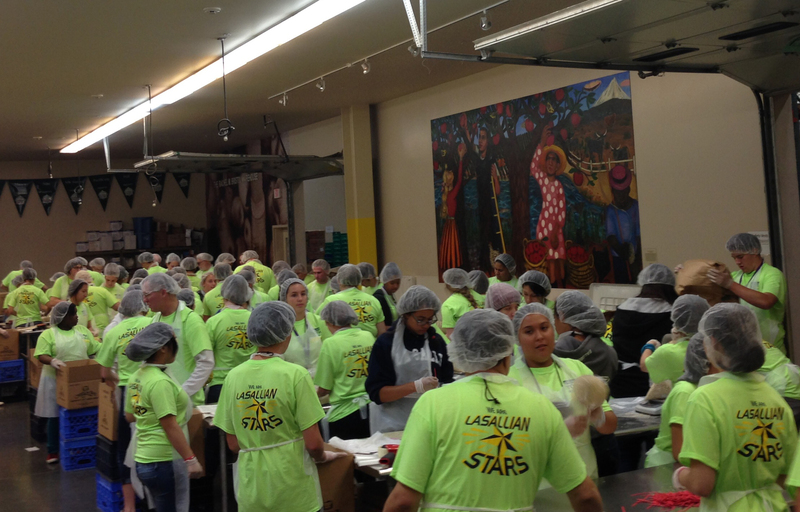 Using this as the framework for discussions on vocation, daily prayer and two Eucharistic liturgies, the students ventured out in the community to provide service to others including work at a local food bank.